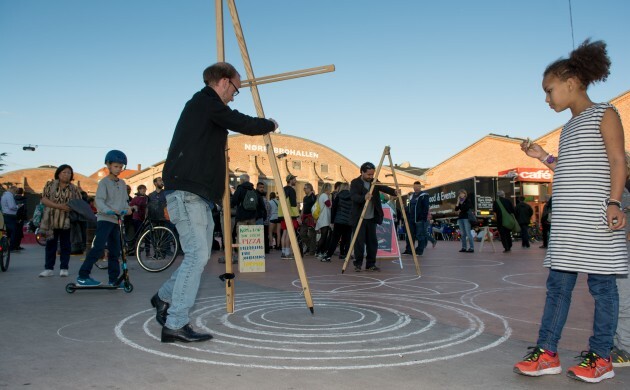 Following on from an art weekend in Aarhus at the end of May, it is the capital’s turn to get all artsy, this time for ten days as Copenhagen Art Week returns for the third successive year. Be warned: you could very well end up being a part of it, whether you like it or not! As well as the usual exhibitions at the 50-plus participating museums, galleries, studios and institutions and lots of other activities, expect pop-up artistic interactions on the buses, trains, Metro and waterways around the city. Fittingly, ‘Shared Spaces’ is this year’s theme as the event seeks to ask what happens during the process of art being made and exchanged, and how does it allow creativity to be encouraged and spread. The events start on August 21 with the international art fair CHART at Kunsthal Charlottenborg and a special edition of SMK Fridays at the National Gallery of Denmark. And then over the following nine days, the participating venues will open their doors to the public, hosting numerous activities such as exhibitions, debates, artist talks, performances, organised walks and happenings. August 27 is a big day, featuring the opening of Trust, an exhibition involving 42 artists and the five main art galleries, and a special day dedicated to the city’s 17 artist-run spaces. Check online for all events and enjoy as many as you can, as they are all free of charge.